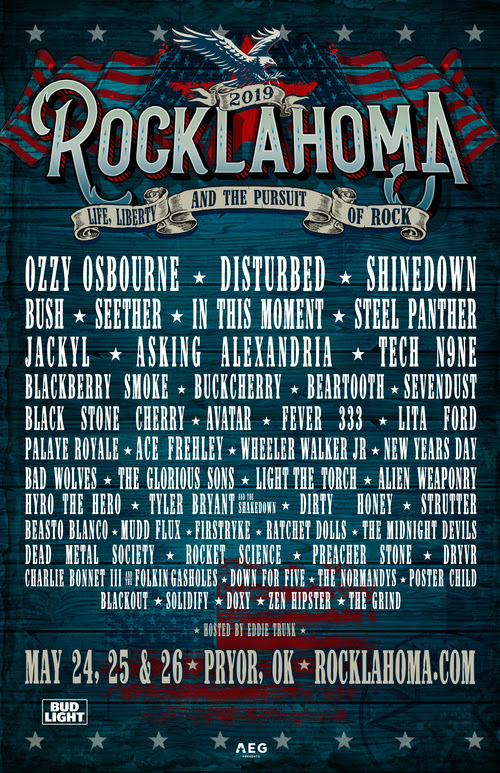 Rocklahoma is set to take place on May 24- 26 2019 at “Catch The Fever” Festival Grounds in Pryor, Oklahoma, just outside of Tulsa. 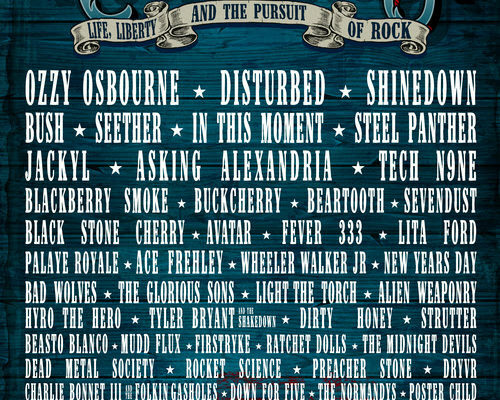 In its thirteenth year, America’s Biggest Memorial Day Weekend Party will feature performances from some of today’s top rock artists, including: Ozzy Osbourne, Disturbed, Shinedown, Bush, Seether, In This Moment, Steel Panther, Jackyl, Asking Alexandria, and many more. Next Story → Tortuga Music Festival Announces Inaugural “Next From Nashville” Stage Lineup!